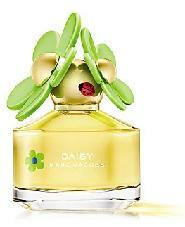 Marc Jacobs’ iconic fragrance Daisy has been given a new lease of life this spring with the launch of Daisy in Bloom. It’s the same classic Daisy fragrance, which is perfect for Spring with it’s floral and fruity scents. It now comes in a new and improved bottle which features two of the iconic daisies on the top, as well as cute stickers for you to personalise it. It’s Limited Edition just for spring, so will only be available for a little while longer. It costs £42.09 for 50ml and is available from Debenhams. Also being give a new look for spring is Lisy by Chloe. It’s now available in a leather case with a concentrated 15ml bottle of the fragrance inside. It costs £68.60 and is also available at Debenhams online or instore.